As an American soldier, shouldn't he be carrying a Honeywell variant? Or can we assume he bought it en route to deployment/on furlough? Although they got the time period right, and many GIs came home from Korea and Vietnam via Japan with Spotmatics, the Nikon F had a monopoly in the field of that era. 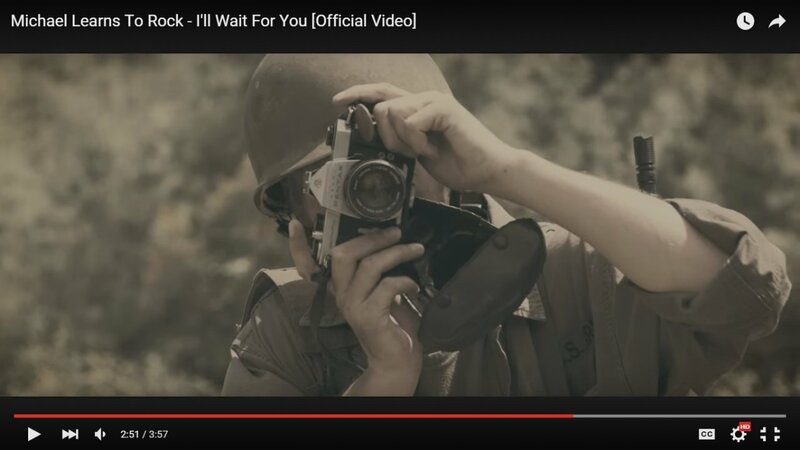 Once upon a time, I was a Unit Still Photographer on film and television sets, and one of my pet peeves was when an actor was supposedly a photographer and they wouldn't hold the SLR correctly, as if it was a fixed focus or autofocus camera like in this music video still. The only exception was on a film called Underfire where Nick Nolte plays a photojournalist and actually handled the cameras like a real photographer. That's good enough for me as far as historical accuracy is concerned. 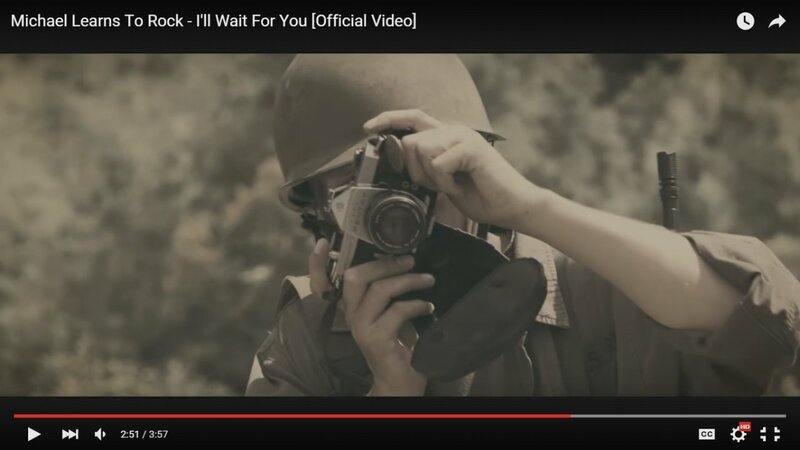 As far as accuracy of method goes, I went and watched the relevant part of the video - the guy in the still here is taking a photo of two other people (a soldier-and-sweetheart pair), so it could be assumed that one of them has set the focus and exposure for him then given him the camera ready to go, and all he's doing is taking the shot for them.